Are you looking for more ways to save time and get more done each day? Using powerful routines is a great way to make sure the important things get done, take care of yourself, and save time. Earlier this month I had the pleasure of meeting Jenn Slavich of Home By Jenn for coffee. I was so impressed by how well she organized her time and created routines for herself and her business. She is a one smart lady! So, I asked her to share some of her best tips for creating powerful routines with us. The new year is just around the corner, and it’s a great time to make a fresh start. Building powerful routines can help us all feel more productive and organized in 2017. Now on to Jenn’s post! Hello Organizing Moms audience, I’m so happy to be sharing with you one of my favorite tips that will save you hours during the week. I’m Jenn from Home by Jenn and I love sharing tips that save busy moms time. 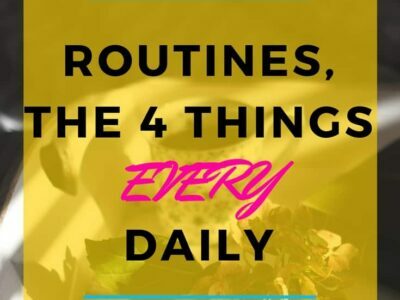 Thank you so much for allowing me into your world as I share the 4 things that every routine needs. I love starting and ending my day with routines. They help me carve out time to spend in the areas that are most important to me. 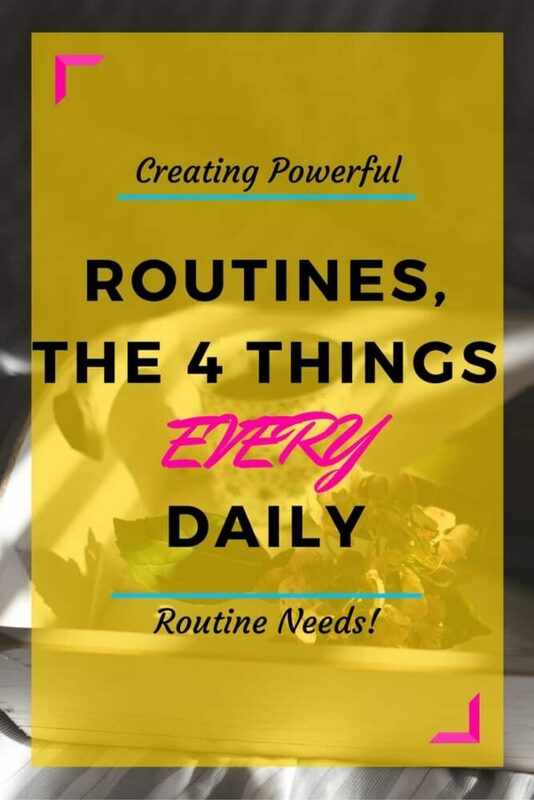 In this post, I’m going to share what makes a routine powerful and the 4 things that every routine needs. Routines are amazing, they help you create a plan, get more done, and it’s the same thing all of the time because it is a routine. Today, I want to specifically talk about creating routines that will save you time doing things that need to be done. These routines are more commonly known as morning and evening routines. I’d like to break down what all is entailed in your routines and how to make them powerful. Before I talk about the meat of your routine, I’d like to introduce you to the routine concept. Not long ago I was an extreme skeptic of routines. I thought that they would make my life boring, and frankly, I thought they were unnecessary. So then why am I praising them? Being a mother, wife, full time business owner, and full time blogger, time is never on my side and I know that I’m not alone. As mothers, we hold so many more responsibilities on our shoulders and I want to share with you how to make your life just a little easier. Before routines I was struggling to get everything done that I needed to get done. Juggling work, home, kids (and their different activities), and everything inbetween it was virtually impossible to have enough time for everything. 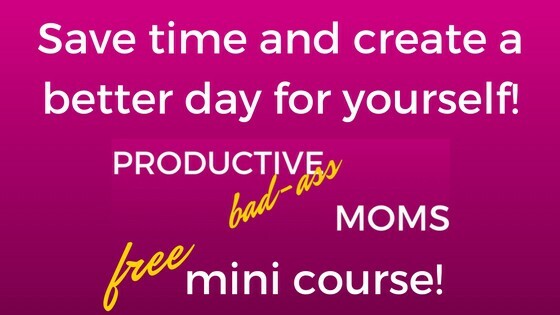 When you are trying to be super mom, it is necessary to come up with systems that will allow you to get more done in less time. That is where routines come into play. Routines are going to give you a plan that you can execute each and every day at the same time. For me personally, I created 2 routines for myself. I have a morning routine and an evening routine. This is the time that I set aside for myself to get things done that need to get done. Today, I would really like to talk about the 4 things that need to go into your routine that will make it powerful. Meaning that your routines will be working for you not against you. Allowing you to double or even triple the amount of work that you can get done in an assigned amount of time. Routines can ultimately allow you to double or even triple the amount of work you can get done in an assigned amount of time. Before I get into talking about the 4 things that every routine needs, I’d first like to share with you what makes routines powerful. So what makes a routine powerful? You need to support yourself in order for them to work. You need to set aside time so they can happen and you also need to see your routine through. Without setting aside time or seeing your routine through, you’ll have nothing. Your routines are there for you to get more done, fill your cup, and plan out what needs to be done. You’re setting aside sometime to do a group of tasks. Not all of your tasks are going to be you working. Maybe some of your tasks will be reading a chapter of your book and another might be doing some yoga. Your routines are there for you to make sure that you are taking care of yourself, your family, and your responsibilities. When it comes to the routines that I created, I have a combination of different items that I get done. I focus on planning ahead, myself, work, and winding up or down (depending on if it’s the morning or evening). However, my morning and evening routines are quite different. My morning routine does focus more on me and my evening routine focuses more on work, home, and family. Without going into a long explanation of the morning and evening routines that I’ve created. I will give you a brief overview of what I’ve put together. However, if you’d like to create your own routines, I have a free course that walks you step by step through the process. Yes, I’d like to learn how to create my own routines! My morning routine really focuses on filling my cup so I have the energy to give to others throughout the rest of the day. I like to start my morning with some quiet time, which usually consists of meditating. I followed that by getting in some exercise, a quick yoga routine is all you need. Then I like to read a chapter or two of a book. I find it important to carve out about 30-45 minutes a day for yourself. No kids, husband, or any other distractions. This time is for you to regroup and create a nice calm start to your day. I then end my routine by crossing 2 things off my to do list. Once all of that is done, I’m ready for my hectic life to begin for the day. Now, my evening routine is quite different. This is where I focus my energy on getting as much done is as little time as possible. I created a list of items that needed to get done in order for me to “stay afloat” and then I added to it. I want to make sure that I wasn’t treading water any longer. I made it my mission to get more and more done in less time. Now that I’ve outlined what I’ve done with my routines, now it is time to show you the 4 things that need to be in every routine to make them powerful. Remember it is about filling your cup up and getting as much done in as little amount of time as possible. Giving yourself a consistent start and stop time will allow your body and mind to get in the habit of knowing exactly when you need to start and stop your routine. I start my morning routine 5 minutes after I wake up. This gives me a moment to open my eyes, get a drink of water and get ready to begin my routine. Since creating this routine, it is hard for me to not wake up at the same time everyday. I created a habit. As for my evening routine, I set it up so I’m super productive up until about 20 minutes before my head hits the pillow. So you know that you need a consistent start and stop time, now what? What else makes a powerful routine? Every routine needs prep time. You will need to prep for the day ahead and for the next day. I’m sure you are wondering, why so much prep time? Your prep time isn’t going to take over your entire routine. It is a small portion of your routine, but it really pays off because there will be less start up and down time. There will be less confusion of what needs to be done. You are always going to know what needs to be done. That is the wonderful thing about allowing yourself some prep time. I’d like to give you some examples of how I use my prep time in my routines. Every evening, I create my to do list for the next day. I will go over my schedule, make my list, and then I’ve created my clear plan for the day. This also ties into gathering everything for the day before. This will allow you to have a calmer morning. If you can get things done the night before, you are able to open up some time to allow time for yourself each morning. It’s pretty obvious that I spend more time in the evening prepping than I do in the morning. My morning prep time really consists of me going over my to do list and schedule to mentally prepare myself for the day. This is key to a powerful and successful routine. It is all about getting more done in less time. Now that you have prepping time in your routine, you can really make sure this takes a front seat in your routine. The best thing to do is create a list of everything that you need and want to get done. This will allow you to prioritize your time wisely. Also, be okay with knowing that you are not going to be able to complete the entire list each day. Over the years of me having a routine to execute, I’ve been able to add more to my list. Once you get a good idea of how long each task takes and when you get use to acting out your routines you’ll be able to add and subtract from your list. Another great thing to do is a time audit of your tasks. Do you know how long it takes to you unload the dishwasher or wipe down the counters in your kitchen. Whatever the task is, you will want to carry around a stopwatch and time yourself doing every little tasks. This is the only way you are going to be able to produce an amazing routine. So, your routine has a consistent start and stop time, you have prep time, and you’ve added productivity to the front seat, you will need to add one final thing to your routine in order for your routine to be awesome and complete. Every routine needs to have some quiet time added to them. Now I’m not saying you need to kick the family to the curb when you are acting out your routines, or that your entire routine need to be in silence. All you need to do is set aside some quiet time to your routine. For example, my morning routine starts off with about 5-10 minutes of pure quiet. I like to sit quietly and meditate for no longer than 10 minutes. I’m allowing my mind to have some time to reflect, heal, and prepare for the day. Then in the evening I like to end my day with some wind down time. This time is also known as my unplug time. This is the no electronic time. Many of us suffer from insomnia or just plain poor sleep. I use to have the hardest time getting to sleep each night. Since I had small children that would be up in the middle of the night, sleeping pills were not an option so I tried to unplug and it really worked. What I do is set aside 20 minutes of unplugged time. No phone, computer, or tv. This is time for me to unwind and get my body ready to sleep. Most nights, I will curl up with a book and read for about 20 minutes. I love to read, and find that it is hard to find time to read. This is a perfect opportunity to bust out a few chapters, unplug, and enjoy something that I love. It’s like healthy multitasking. So, there it is, the 4 things that every routine needs to make sure it is powerful, successful, and allowing you to double or triple the amount of things you get done in less time. I know creating routines, sticking to them, and understanding the power of them can be a little overwhelming, I created a completely free ecourse that will lay out exactly what it takes to create these routines and allow you to gain 4 or more hours a week. If you are in need of a step by step process of setting these routines up, then I’ve got you covered. I’ve created a step by step process that is so detailed I needed to put it into a course. It is completely free all you need to do is click the link to join! Yes, I’m ready to create my own routines to save time and get more done! Thank you so much for taking time out of your day to read this and I wish you all of the best in creating routines that will allow you to have more time!